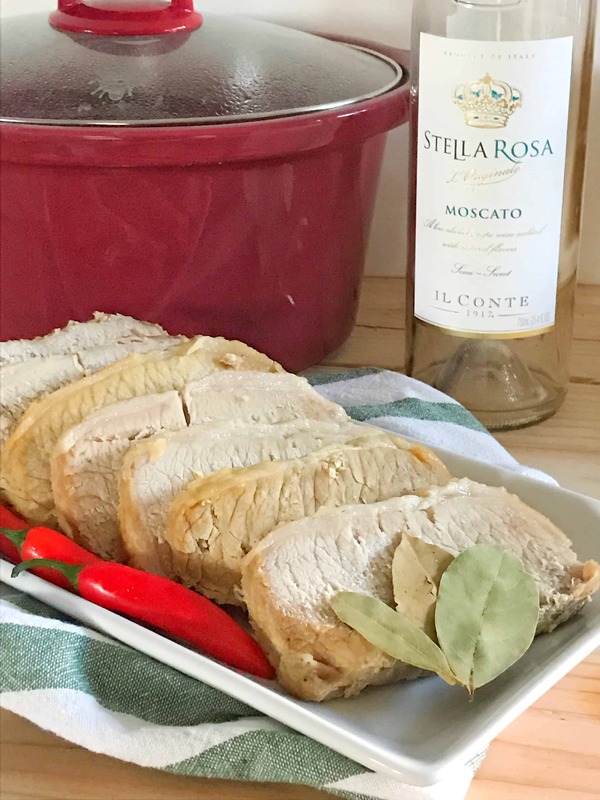 Did I really put a bottle of Moscato in a crock pot with a pork loin and hot peppers? Truth be told, I had sipped about 2 ounces out of a bottle of Moscato on New Years Eve and needed to come up with a simple swap to use the rest of the bottle. Since Mr. CEO is not a wine drinker and I’m off the bottle currently, I knew I had to pick up some pork since I remember how much he enjoyed that sweet and spicy plum sauce I whipped up a few years back. So, with a whole lotta love and faith, this beauty was born! And, stay with me, it’s the first recipe in that trio I promised for the BLOGOVERSARY! 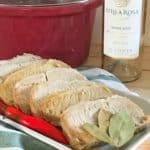 You’ll see with this Slow Cooked Pork Loin as the base, two other beautiful recipes were born. And, no oven or stovetop was required! That’s a meal we can all get on board with, right? 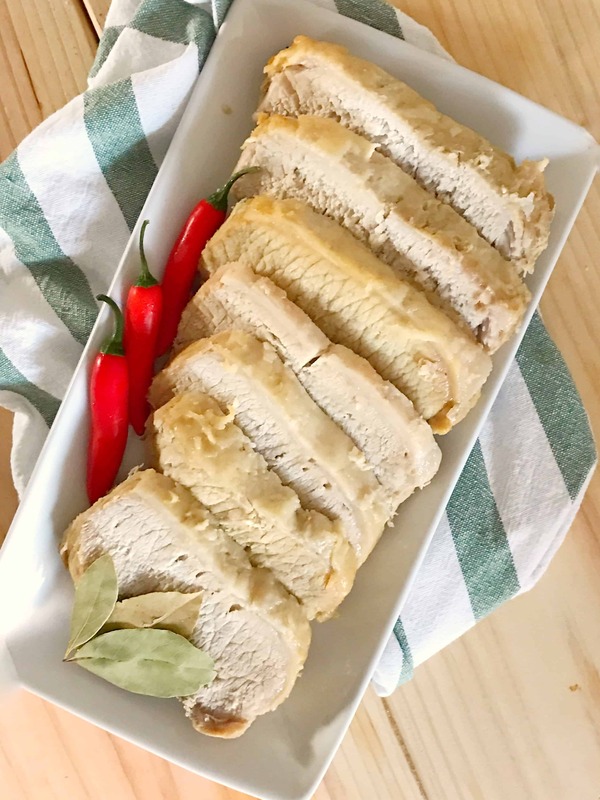 Dive into this Slow Cooked Pork Loin with me and let me know what you think! 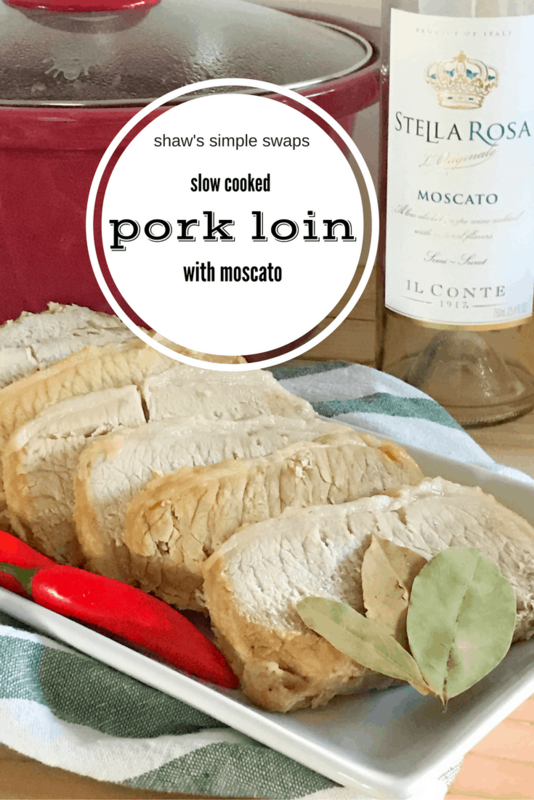 Slow Cooked Pork Loin in Moscato and Hot Peppers is the perfect hearty meal that serves as a great multi meal generator! Stay tuned for the rubens, tacos and more on the way! Set a slow cooker to LOW and add the wine. Stir in the table salt, bay leaves and roughly chopped peppers. Add the pork loin and cover slow cooker with lid. Cook on LOW heat for 4 hours, or until internal temperature reaches 145*F.
Serve with side salad, vegetable of choice and Habanero BBQ sauce! Let cool completely and freeze additional slices for later in a sealed container. Tell me, what would you make with this Slow Cooked Pork? I love recipes that are born like this! Yum! Such a creative way to use that Moscato! I love it!